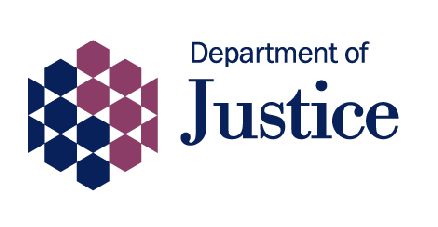 Legal aid reforms in England and Wales have posed problems for the DoJ here. Legal aid costs Northern Ireland over £100m a year. That is a large amount of money and it is fair to ask what we, as a society, are getting from the outlay. Last month, Auditor General Kieran Donnelly warned that the legal-aid system risked losing credibility and that a number of long-identified issues remain unresolved. The Public Accounts Committee (PAC) first published a report seven years ago calling for several changes to the way legal aid is allocated and introduce financial controls. A follow-up report, which reiterated a number of points raised in 2011, was published in January of last year. "Reforms have not been implemented effectively and at an average annual cost of £102 million since 2011, the costs of legal aid remain unacceptably high," said the Auditor General. Since the first PAC report the cost of legal aid has generally increased, year on year. The money spent on criminal cases has remained relatively stable; there has been a broadly upward trend in non-criminal matters. Whilst reforms in NI failed to really happen, efforts at controlling costs in England and Wales have progressed over the same period - and have come at great cost. A fortnight ago, the Westminster Joint Select Committee on Human Rights published a report on Enforcing Human Rights which showed a legal system struggling to represent its citizens' interests. Given this study was undertaken by the Select Committee on Human Rights it is unsurprising that the report focused heavily on how individuals are able, in practice, to defend their own human rights specifically. However, not exclusively so - accessible justice per se is a human rights concern, after all - and there is enough in the paper to provide a snapshot of the (myriad) problems legal aid (or lack of it) is causing in England and Wales right now. To deliver better overall value for money for the taxpayer." This mirrors the case for reform in NI. However, according to the select committee, the list of problems caused by the reform is long. "While the focus of our evidence has largely been on the impact of civil legal aid reforms, it must be noted that the situation facing law firms doing criminal legal aid work is now severe, as is currently very well publicised. While criminal legal aid has not been restricted in the same way as civil legal aid, reform of criminal legal aid contracts and significant fee reductions have meant that many law firms providing criminal legal aid have gone out of business or are at risk of doing so, or law firms have closed their department undertaking this work." Eyes might roll at concerns about lawyers losing out on funding, but a drain of providers from the legal-aid pool will clearly affect services. On top of some firms stepping back from this area, if many are finding the work financially unsustainable, there have to be questions about the resources those who remain are truly able to allocate to a vital pillar of criminal justice. The effects on civil legal aid have been "dramatic". There has been a huge drop in eligibility for financial support. There are concerns about the effects on justice – with potential problems being raised by the Law Society NI as far back as 2010. Furthermore, as a straightforward money-saving exercise, it has not functioned perfectly well. There has been a significant rise in the number of litigants in person (people who represent themselves in courts or tribunals). According to the Law Society, cases involving litigants in person take, on average, 50% longer than other cases. "There are specific concerns about litigants in person in domestic abuse cases, where victims may be cross-examined by their abusers. In the first three quarters of 2017, 27% of applicants in domestic violence cases were unrepresented, compared with 16% in 2012. Before the 2017 General Election, the Government committed to ban this practice, and legislative measures to prevent it are currently subject to consultation. We will monitor progress on this issue." The paper also outlines the negative effects of a lack of representation in various strands of the justice system, including family law, inquests, immigration cases and more. The select committee report is strident about the importance of independence for both the judiciary and lawyers. In direct terms, this is less to do with legal aid than it is simply having politicians, including the government and its ministers, volubly criticising either judges' decisions or solicitors and barristers for taking on unpopular cases. However, it is important to note that the government, ultimately, makes decisions about legal aid - and this is a means by which both a large section of cases is made effective, and a source of income for lawyers. In that sense, politicians do have some influence on the profession; this should be exercised with restraint and with independence in mind. Per the report: "The Government must create a positive environment in which lawyers are not impeded from bringing human rights cases against the Government. Lawyers should not be criticised because they represent ‘unpopular’ clients in human rights claims. Where there are concerns about lawyers’ conduct, the proper disciplinary channels should be used, and the Government should not seek to abuse their position to influence, intimidate or interfere in that process." The question of legal aid primarily relates to the first requirement but can still, indirectly, affect the third. The select committee was also at pains to put the issues around legal aid changes in a context with the relative health, or not, of all the systemic pillars of justice. Per the report: "For rights to be effective they have to be capable of being enforced. It is therefore profoundly concerning that the recently retired President of the Supreme Court, Lord Neuberger of Abbotsbury, told us that “we have pretty good rights but quite a yawning gap as far as enabling people to enforce those rights is concerned.” This view was echoed by many who had experience of trying to enforce their rights; their evidence reflected a widespread feeling of exclusion from the system of protections and rights afforded to others in society. A member of the Glasgow Disability Alliance told us: “justice is something other people get”." These principles apply to all parts of the justice system. What is the point of laws that cannot be - or, rather, are not being - effectively enforced? Our lack of progress comes with opportunity, however. England and Wales are often a few steps ahead when it comes to pushing through modernising reforms, good or bad. NI can learn from their errors, across many areas of policy. Any plans to privatise sections of the probation service would need to be drawn up with a full appreciation of the disaster Justice Secretary David Gauke is currently trying to unravel and then pack away. If Northern Ireland is to press on with reform of legal aid, we at least have the benefit of practical foresight. A reasonable aim is to have a properly functioning justice system, which disenfranchises no-one and allows people in all strata of society their due protections, at the lowest possible cost. That is not an easy thing to achieve and, if and when specific policies or directions are put in place to cut aid, we should all be aware what the true costs are.